Police warn of astrology and psychic fraud! Stay with the Pros! – Dr. Turi M.D.U.S. Police warn of astrology and psychic fraud! Stay with the Pros! Citing complaints and information received by investigators since April 2015, police say that vulnerable persons in the Edmonton area were lead to believe they were cursed with black magic and/or witchcraft and asked to pay for healing rituals. The fraudsters are difficult to track down, say police, as they are often in Canada on a visitor visa and quickly disappear when they believe they could get caught. Is this “warning” a clever move, a paid advertisement generated for a famous medium TV host or is the gullible mass being deceived again? If you take the time to watch the video very little “warnings” are offered to the viewers while 90% of the program is all about promotion. 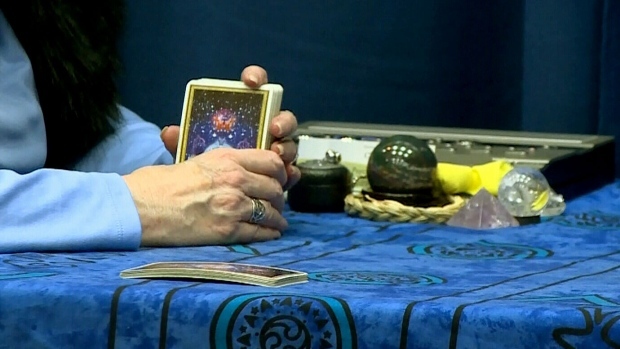 Do you use astrologers, psychics or fortune tellers to guide major life decisions? The question is; did the police report come before or after the famous TV host’ show production? And why a pool is added at the bottom? Who is interested in knowing how many people use intuitive people like me? Exorcism in the Catholic Church is the use of exorcism in the Roman Catholic faith for those who are believed to be the victims of demonic possession! But was the Church of England mentioned in the article or blamed by the police performing those demonology updated now accepted rituals? Are all the millions of victims of Satan undergoing exorcism daily all over the world the same type of older gullible, mentally sick, desperate people? Are they paying for the exorcists “services” or lured to give all their possessions to be “cleaned off by the devil” and finally own their place in paradise? Are all the practicing exorcists perceived as fraudsters too? But no one can or will challenge the powerful, established authority of the religious matrix and all that I mentioned above will never be questioned nor sought about by the subhumans. Are you ready for the truth reader? Who’s against us, against God cosmic Divinity, astrology, the spiritualists? 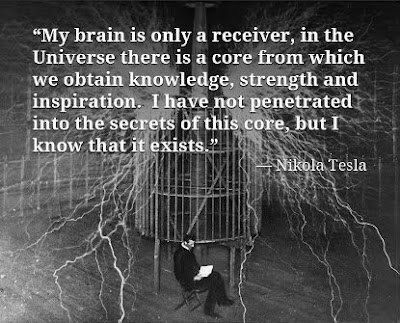 The religious or the scientific matrixes or both? My warnings, like my predictions are undeniable and the future has and will always be my utmost faithful witness… When the police warn of astrology and psychic fraud, Christian exorcists are omitted and the subhumans and idiots alike can only rejoice because it reinforce their religious or scientific/atheist stubborn convictions. I could add “police warn about Christian minister John Hagee Four Blood Moons predictions” but any junk coming from the religious or scientific matrixes is apparently not a laughing matter and can not be challenged! There really isn’t almost anything, anyone or any service nowadays that can be fully trusted when even I myself suffered con artists all my life. Furthermore, when I use the word “subhuman” the sensitive soul cursed with an inferiority complex and a pea brain can not help to take the anecdotal word personally. These people are incapable of thinking deeper and associate the word “subhuman” with the criminals, the rapists, the con artists, the abusers, the child molesters and cold killers! Amazing how one can promote my work as divine and real then turn around and become another Internet enemy! It doesn’t seem like the unevolved dry souls even realize they could learn something very valuable from a 65 year old man like me. Incidentally the “young souls” challenging my cosmic wisdom and the true power of talismans are the ones who need help the most because ignorance is evil and legitimate wisdom offer the real power to establish the emotional, financial and spiritual stability Terania and I enjoy everyday. I tell people I am not a psychic, I am a soul doctor, an Astropsychologist using a software I designed to forecasts the future, natural disasters and large earthquakes on radio and television that is impossible to deny if you take the time to investigate my claims. Dr. Turi with Christina George July 6, 2015 (Listen!) Christina George You never cease to amazing me Dr Louis Turi….I wish the world would just listen to you…but it is coming xoxo – Right on point again….AS ALWAYS…Thanks so much xoxo – Dannion Brinkley Keep rocking Louis!!!!!! DATES OFFERED TO THE PUBLIC! Ted Mahr radio show June 12, 2015 – Get more information and more predictions Prediction: “Expect earthquakes above 6.0) “ (Height days after prediction on the radio) RESULTS 5/21/2015 A 6.9 HIT SANTA CRUZ ISLAND! I also gave the date of 5/30th 2015 – (terrorism) prediction; Result: Suicide bomber, rocket grenades kill 30 A show you must listen to really understand my work! Jeffrey/Allen on Paranormal Central January 25, 2015 – where I gave proof of my above 6.0 quakes predictions and dealt with a young atheist soul! Jeffrey challenged my work in public but never followed up nor endorsed my work each time I posted the undeniable prediction on his page. Betsey Lewis radio show where I made more undeniable predictions of quakes above 6.0 and Volcano eruption. Peter Santilli radio show where I explained the visit of 4 FBI agents after the Paris terrorists’ attack prediction! Many more predictions are available from my radio shows page! “A physician without a knowledge of Astrology has no right to call himself a physician” Hippocrates (ca. 400 BC). Doctors Are The Third Leading Cause of Death in the US, Killing 225,000 People Every Year! Even in 2015 there is no “FDA” assuring you that you will not suffer a “psychic accident” or end up psychically poisoned by those reptilius infected “Neptunius psychics.” All you have to avoid the con artists subhuman abusers is your critical thinking! But I can dance on my head and give you TONS of undeniable proofs of my claims, but who’s got the time to listen one single radio show or spend hours reading and investigating all my previous hits? Or even take the time to read years of accumulated endorsements from my previous smart students, patients and clients? The majority of those victimized “lost souls” are using or abusing legal or illegal drugs, they are over medicated folks and so mentally degenerated that it is simply impossible for them to perform any form of logical work! They are all sitting ducks! The older deprimed souls are the perfect target for the con artists and lack the curiosity or the perceptive power to recognize the values of legitimate psychics or gifted Astropsychologists like me. Thus “to protect” them against astrologers and psychics, the OCD secular spiritless generation can only perceive us all as; worthless abusive “Gypsies” and they are already working to eliminate all spirituals endeavors from the work force. Indeed my predictions always come to pass and all I can do is, to remind you that what is going on in Europe with all refugees from the Middle East was fully predicted. Prediction #4 New STD and new diseases will plague humanity in some parts of the world. Africa and the Middle East are Neptunian countries where total restructures are to be expected. The deception and reality involving Ebola will come to light. New drugs and medical discoveries will bless some and a pandemic will curse humanity and kill many. If you heard my last radio show on Coast To Coast I clearly mentioned to George Noory that the deceptive religious Age of Pisces was dying and being replaced by the humanitarian technological Age of Aquarius. The Middle East is ruled by Pisces and must endure a total very painful restructure. 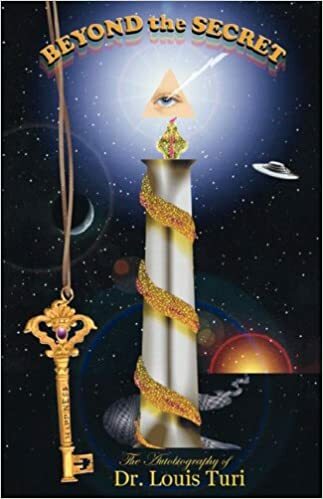 What you are witnessing now in Europe and the Middle East is the tip of the iceberg of the drama to come and only when the world learn to synchronize and use the Supra-conscious productively will humanity see a serious improvement. That is if ISIS does not get access to the nukes within the next few years! I will talk more about it on September 7th on the Bob Charles radio show Monday 7th, 2015 at 6:00 PM ET. 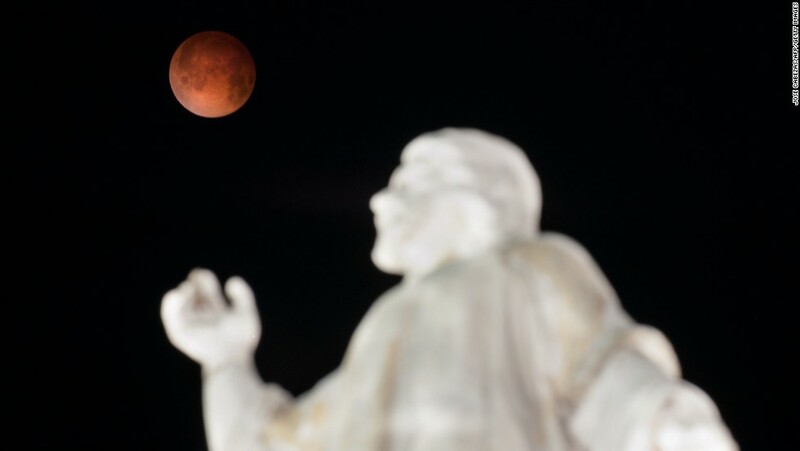 I received also some requests from VIP’s to answer ‘End times’ or just blood moon? Stay with a legitimate commissioned MJ12, check the latest on Draco’s Facebook page and show your support by becoming a VIP! All Christian ministers are not only mentally reptilius infected (religiously poisoned) but working for the abusive religious matrix and many before him claimed their own apocalyptic visions was a signal being sent by God. Maintaining religious fears, skepticism and universal chaos is the reptilius agenda you must help the fight by acknowledging and sharing God cosmic Divinity! 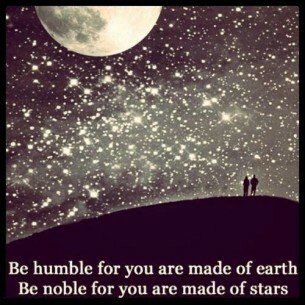 Become cosmic conscious, acknowledge and control your stars and your destiny! When humanity is able to recognize and use the supra-conscious appropriately, hope for a better, safer future will become a reality! I am offering a Super deal for Labor Day! ALL PSYCHICS, MEDIUMS, SPIRITUALISTS, TAROT READERS AND LEGITIMATE PROFESSIONAL ASTROLOGERS SHOULD DO THE SAME and offer proofs of predictions to their clients before asking for renumeration! This is why my work is always recorded. CALL 602-265-7667 ONLY IF YOU ARE READY TO ORDER otherwise email Teraniapromodir@gmail.com for your mini reading test drive. False Prophets – Will the FBI visit Dr. Turi again soon? 2nd quake kills more in Nepal and a 6.8 hit Japan Dr. Turi did it again! Astrology and Witchcraft, should skeptics laugh or not? Yarnell, Prescott firefighters, will their sacrifices serve a divine purpose? Sagan, Dawkins, DeGrasse, Astrology is a real science, here is the undeniable proof! Atheists enjoy Dr. Turi Unarguable 6.3 earthquake prediction!